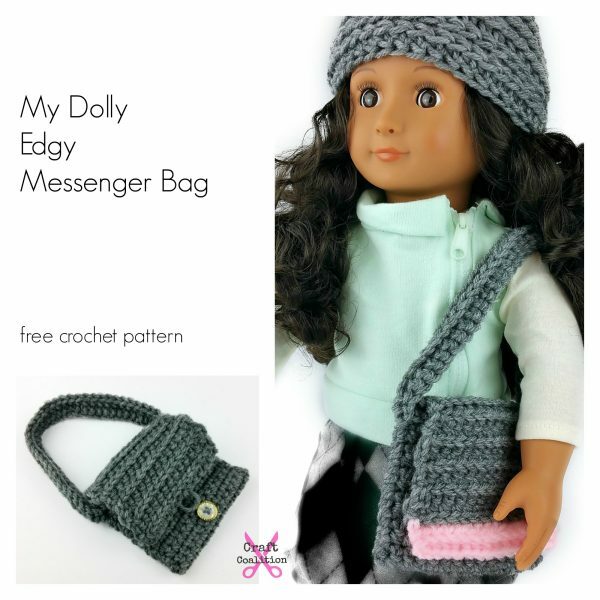 My Dolly Edgy Messenger Bag crochet pattern - 18 inch doll crochet pattern photo tutorial - Craft Coalition! 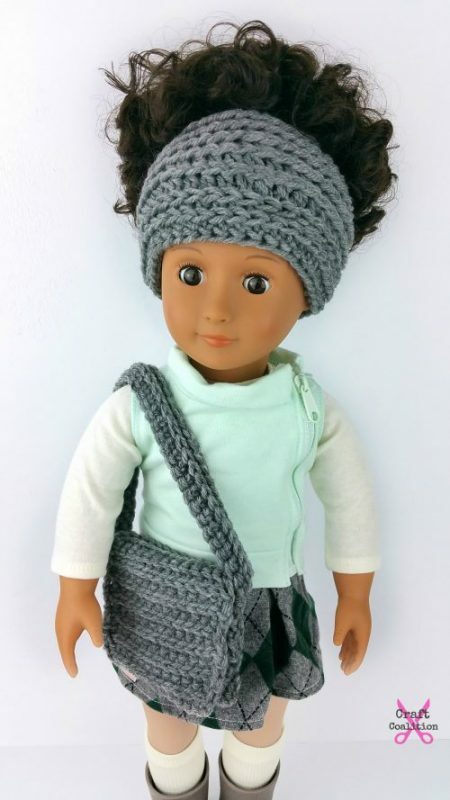 Follow this My Dolly Edgy Messenger Bag crochet pattern to create your own and you’ll see just how simple it is to change out the colors and add notions to boost the style of each individual bag to mix and match other pieces in your 18″ doll’s wardrobe. 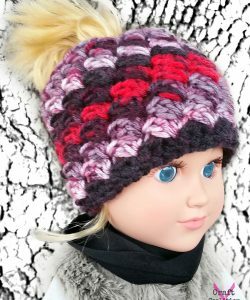 Another great option is making the full set including one or both of the hats pictured – My Dolly Edgy Messy Bun Hat 2-in-1 crochet pattern (includes the beanie crochet pattern) – http://www.craftcoalition.com/my-dolly-edgy-messy-bun-hat-crochet-pattern/ There really are just so many options with the set by experimenting with colors and notions. 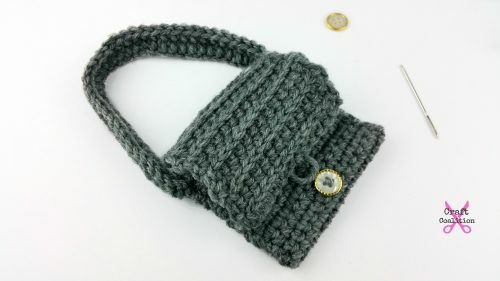 Scroll down for the free crochet pattern and photo tutorial. 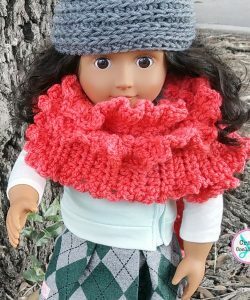 Be sure to check out the gallery for other My Dolly crochet patterns. 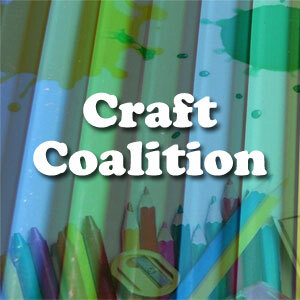 Materials – F-hook/ 3.75mm, yarn needle, scissors, and buttons or other notions if desired. Using Heather, start with a 12” tail for sewing, chain 16. Round 1: (Wrong side) Starting in the 2nd chain from the hook, sc in each chain across – 15 sc total. 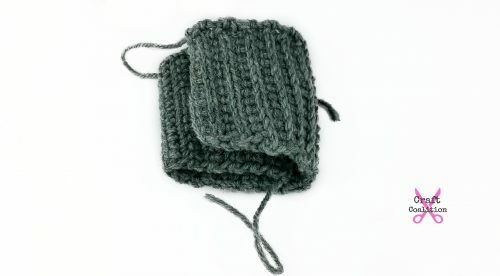 Round 2: Chain 1, turn, sc in each stitch across – 15 sc total. Round 3-26: Repeat Round 1. 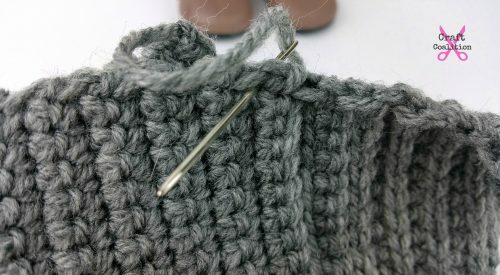 Round 27: (Right side) Chain 1, turn, working in the back loop only, sc in each of the next 13 stitches across, sc under both loops in the last stitch – 15 sc total. 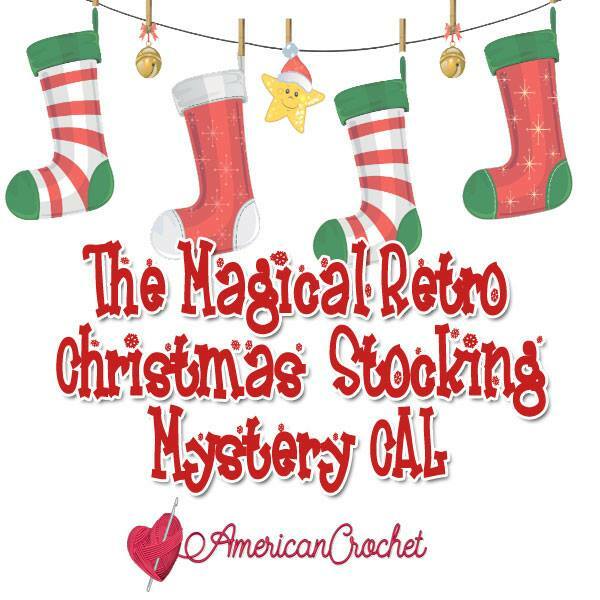 Round 28: (Wrong side) Chain 1, turn, working in the front loop only, sc in each of the next 13 stitches across, sc under both loops in the last stitch – 15 sc total. 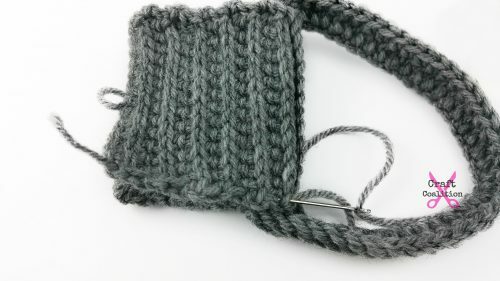 Round 29-37: Chain 1, turn, working in the 3rd loop, hdc in each of the next 13 stitches across, hdc under both loops in the last stitch – 15 hdc total. 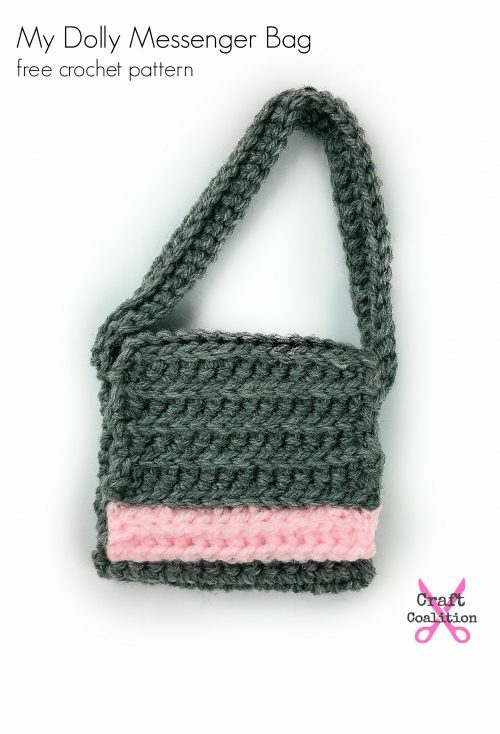 Round 38-39: Using Baby Pink, chain 1, turn, working in the 3rd loop, hdc in each of the next 13 stitches across, hdc under both loops in the last stitch – 15 hdc total. Fasten off, leave a 12” tail for sewing. Using Heather, start with a 12” tail for sewing, chain 56. Row 3: Starting in the 2nd chain from the hook, hdc in each chain across, chain 1, turn – 55 hdc total. 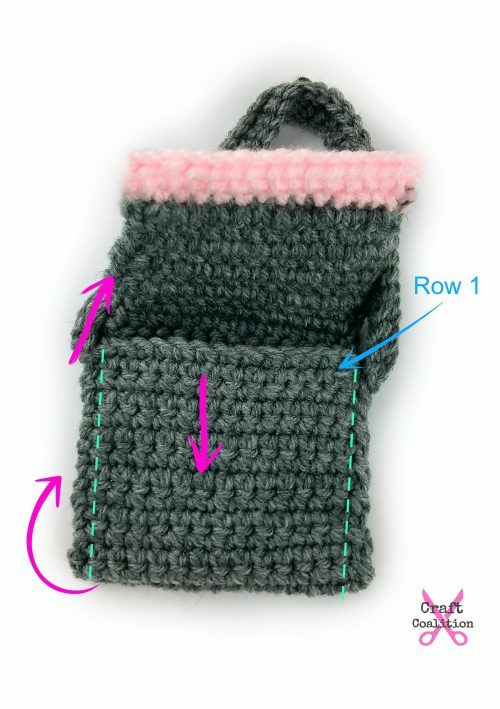 Row 2: Chain 1, turn, working in the back loop only, hdc in each of the next 54 stitches across, hdc under both loops in the last stitch – 56 hdc total. 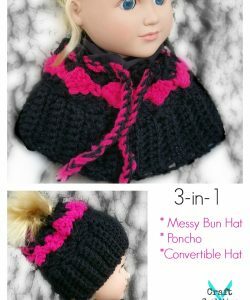 Fold your main piece into thirds with the pink stripe on the outside. 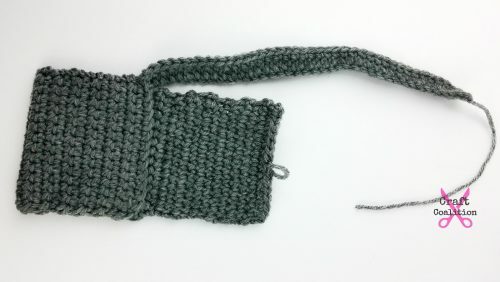 Using the tail from the inner most edge, sew one side (two-thirds) together leaving a third for the flap. 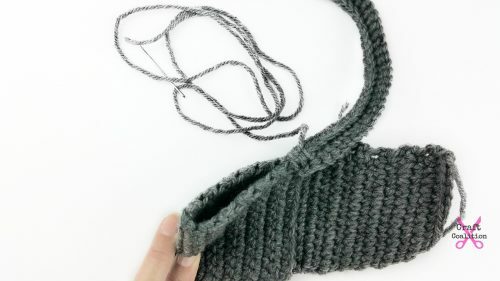 Using the tail from the strap, sew the opposite side to finish forming the bag. 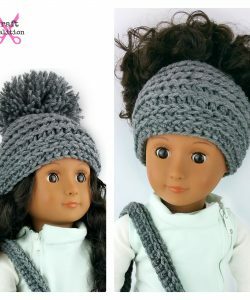 Weave in your ends and sew the strap onto the other side. 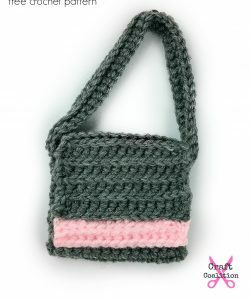 With all tails woven in, sew on your button, hook, or other notion, if desired. 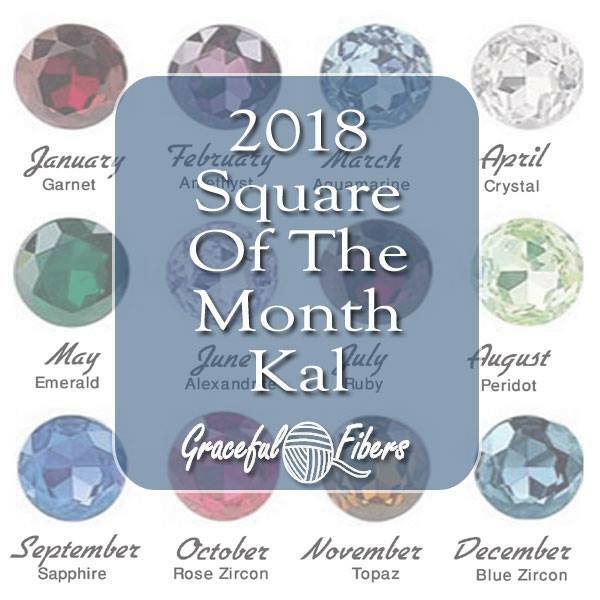 I hope you love this pattern as much as I have! The options are so much fun.